[S1622] 1940 US Federal Census, Hartford, Hartford County, Connecticut, digital image ; National Archives micropublication, Benjamin Kingsley head of household, roll T627_534, enumeration district 10-36, page 62B. [S4355] 1940 US Federal Census, Proctor, Rutland County, Vermont, digital image Ancestry.com ; National Archives micropublication, Earl Burgess head of household, roll T627_4235, enumeration district 11-30, page 7B. [S3797] Find A Grave: Evergreen Cemetery, Pittsford, Vermont, Ruth Marie Burgess Briggs, created by D Carter, added Nov 2011, memorial number 66023079. 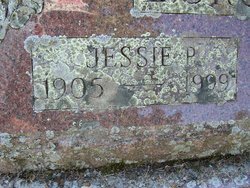 [S3797] Find A Grave: Evergreen Cemetery, Pittsford, Vermont, Jessie Ida Pratt Burgess, created by D Carte, Alan Lathrop, added Jul 2011, memorial number 73022524. [S2662] Andrew Burdett, family web site titled "Our Northern Roots", http://www.ournorthernroots.com/index.php, viewed Apr 2013. [S2696] 1880 US Federal Census, Pittsford, Rutland County, Vermont, digital image Ancestry.com ; National Archives micropublication, James N Burditt head of household, roll 1347, enumeration district 185, page 228B. [S4358] 1900 US Federal Census, Pittsford, Rutland County, Vermont, digital image Ancestry.com ; National Archives micropublication, Angeline Burditt head of household, roll T623_1694, enumeration district 0200, page 4A. Gertrude completed four years of high school. [S4308] 1940 US Federal Census, Pittsford, Rutland County, Vermont, digital image Ancestry.com ; National Archives micropublication, Dexter Hathaway head of household, roll T627_4235, enumeration district 11-24, page 3A. 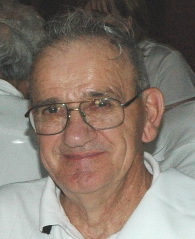 Frederick E. Hathaway, 81 of Worcester Street died Thursday in Mercy Hospital. Fred was born in Proctor, VT, grew up in Pittsford, VT and has lived in West Springfield most of his life. He served with the United States Marines during the Korean War. After the war he reenlisted with the Marine Reserves. He retired in 1985 after 32 years as a Master Gunnery Sergeant. He also worked at the former A&P Bakery for 26 years and as a driver for the West Springfield School System for 10 years. He was a 20 year volunteer for the Meals on Wheels Program and also helped with New England Serve. He was a vice-president for the Hathaway Family Association, and was very involved with his family. He was an avid card player. He leaves his wife of 51 years Harriet (Brooks) Hathaway; children: Raymond of North Hero, VT; Frances Ohzourk of Milwaukee, WI; Allen of Salisbury, VT; Carolyn Gregitis of West Springfield, MA; Wayne of Sterling, NB; Raynore Jones of Winnfield, LA ; and R. Gordon Dixon of Colorado Springs, CO. He also leaves four brothers Dexter, William, James, John; two sisters Betty Bottomly and Dorothy Roberts; nine grandchildren , eight great grandchildren, and many nieces and nephews. Fred was predeceased by a brother Robert, 2 children Rowena and Frederick Jr, and a grandson Jeremiah Ohzourk. He was also called dad and grandpa by many. The funeral will be held in the Chapel of the Massachusetts Veteran's Memorial Cemetery at a later date. There are no calling hours and the West Springfield Curran-Jones Funeral Home is handling all arrangements. In lieu of flowers donations may be made to the Marine Toys for Tots Foundation 160 Airman Dr, Chicopee, MA 01022 or to the American Parkinson Disease Assoc. Massachusetts Chapter, 72 East Concord St, C3, Boston, MA 02118 or to the Marines Helping Marines, M H M Hospital Program, P.O. Box 141, Westminster, MD 21158. [S4365] Family web site titled "The Hathaway Family Association", www.hathawayfamilyassociation.org, viewed Apr 2013. [S4360] Find A Grave: Massachusetts Veterans Memorial Cemetery, Agawam, Massachusetts, Frederick E Hathaway, created by Dave McCaffrey and Angie Robinson, added Dec 2009, memorial number 45692933. [S4361] Find A Grave: Paucatuck Cemetery, West Springfield, Massachusetts, Fred E Hathaway Jr, created by carol smith, added Jul 2011, memorial number 72422707. [S4361] Find A Grave: Paucatuck Cemetery, West Springfield, Massachusetts, Rowena E Hathaway, created by carol smith, added Jul 2011, memorial number 72422687. LAKE VIEW, N.Y. - Elizabeth M. "Betty" (Hathaway) Bottomley, age 79, of Lake View, N.Y., passed away December 13, 2010, at Roswell Park Cancer Institute. Born January 5, 1931, in Rutland, Vt., to the late Dexter A. Sr. and Gertrude Burditt Hathaway, Betty was wife of the late Charles W. Reese and John Bottomley; dearest mother of Charles Dexter Reese of Dunkirk, N.Y.; special friend of Richard Poynton; loving sister of Dexter A. Hathaway Jr., James F. Hathaway, John T. Hathaway, Dorothy H. Roberts and the late Frederick E. Hathaway, William E. Hathaway and Robert A. Hathaway. Betty grew up in Pittsford, Vt., and attended Rutland Business College. Upon graduation, she soon discovered her true calling was to be a waitress, a career she followed her entire adult life in the Buffalo, N.Y., area, but never forgot her roots, friends or family. Betty was a friend to all and is survived by many. She loved to golf and finished her professional career working in the kitchen and waitressing at the Eden Valley Golf Course, Eden, N.Y.
Interment services will take place in the Hathaway Family Cemetery, Syndicate Road, Florence, Vt., at 2:00 p.m. Sunday, May 22, 2011. [S4339] Find A Grave: Hathaway Cemetery, Dover, Vermont, Elizabeth Hathaway Bottomley, created by Carol Bestick, added Jan 2011, memorial number 63726731. [S4747] The Rutland Herald, Rutland, VT, obituary notice.